John and his wife Maureen have raised four children and are now the proud grandparents of a nine beautiful grandchildren. John has lived all his life in Massachusetts, growing up in Millbury before moving to Chelmsford, and later settling in Tewksbury. John attended the University of Lowell and Boston College. For 40 years, he was a teacher, administrator, coach, and labor negotiator in Bedford, Pepperell and Millbury. 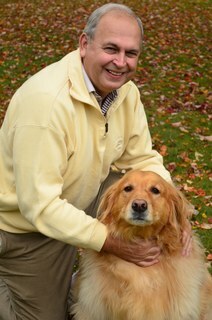 John has had years of experience as a chauffeur and trainer working in Boston and throughout New England. In addition to education, John owned and managed Far Horizons Travel in Chelmsford for over 21 years. In the community, he was a youth basketball coach for ten years and served as the Director of the Tewksbury Youth Basketball League. He is also a former member and officer of the University of Lowell Building Authority. John’s personal interests include golf, tennis, reading, movies, guitar/trumpet, and Broadway shows.